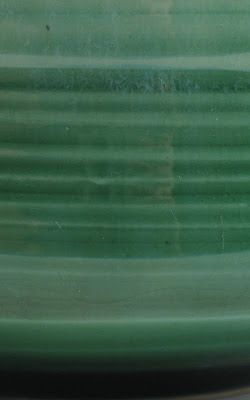 This is a beautiful transparent glossy Jade green glaze. Plan for a bit of vertical movement with this glaze, especially if applied thick. Prone to pin-holing is not soaked at the top of firing. It works very well over a black slip design.